For years, we have personalised major life events such as weddings, baptisms, birthdays and others – it’s only natural to expect these celebrations to reflect our lives, interests and passions. Yet, until recently, the way we said goodbye at the end of a loved one’s life was often dictated and controlled by a stranger. Thankfully, that’s no longer the case. At Bernard Laverty, we believe in embracing value over familiarity – this is the true measure of personalisation and is one of the things we think makes us different to other funeral companies. Personalisation is about more than paying lip service to your requests; rather it is making sure that we add value and deliver your choice. Rather than following their own preferences, our staff members believe that the funeral belongs to you, the family, and that we are simply here to guide and support you in creating a service which reflects the fullness of a life lived. Do I have to personalise? Where do I start personalising? Funeral services are comprised of several aspects which, when combined, create a meaningful and individualised experience for you, your family and friends. Music – Music can help us access our feelings, both happy and sad. Readings – Can convey the unique life and philosophies of your loved one. Eulogy – Sometimes the most remembered and meaningful element of a service. Symbols – When words are inadequate, sometimes memorabilia can help us to express our thoughts and feelings. Cortege – Often symbolises mutual support and the public honouring of death. The list of options is endless, and we encourage families to use some, if not all, of these elements to craft an atmosphere that best reflects their loved one’s life and begins to create that long lasting tribute to the person that’s been lost. Often when we think of personalisation, cost is first question that arises. Yes, there are times when extra costs arise due to the choices made by families, but it’s important to remember that there are many ways to individualise a service. Funeral services often include many of the same elements, even amongst different faiths and cultures and sometimes it’s the little things that we do that we remember the most. 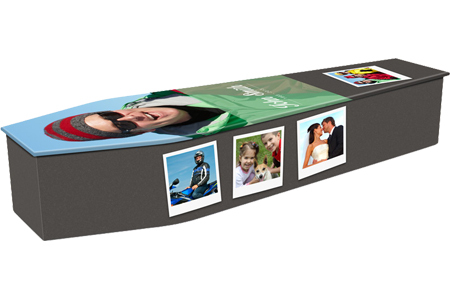 Personalisation creates a meaningful tribute and acts as an everlasting memory – it can take many forms, from the little things that cost little or nothing, to the choice of individualised coffins, flowers, stationery, venues or hearses and so on. Personalising your funeral service can of course create additional costs, and delays, but all options are discussed with you openly and professionally when you’re meeting with our staff.